Though it just raised prices, Universal is skimming on the rides. 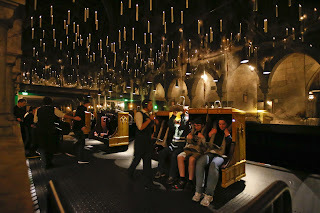 The 3D for the Harry Potter ride and the Forbidden Journey ride have had their 3D turned off. Universal hasn't explained why it turned off the 3D elements, but rumor is it was causing to much nausea among riders, something they probably should have figured out before building the million dollar rides.